I can't believe I've been away for so long!!! 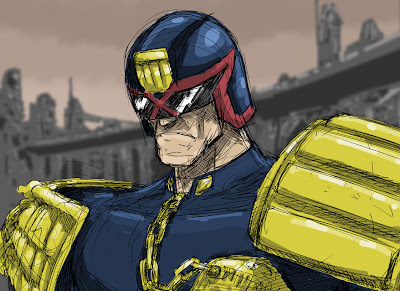 I wish to offer Saint Blogulous (the Patron saint of blogs) this humble and crappy image of Judge Dredd as an offering. And I vow to keep up with this thing more frequently, starting with pages from Codename Hart that I finished last... June. JUNE? REALLY? !